Proudly in partnership with East Village. In a small organization like One Yellow Rabbit, volunteers play a big role in creating a fun and well-run theatre experience for everyone. We rely on our volunteers. And – we make sure they have a really good time. Because that’s the way we roll – and because they become part of the family. Open the doors to a unique and rewarding experience as a volunteer with One Yellow Rabbit. Help us make this, among the most vibrant cultural scenes anywhere on the globe, even better because of your efforts. Join us. Complete our online application here. Each year, One Yellow Rabbit ignites the city of Calgary with The High Performance Rodeo. This festival of the arts is made possible with the support of our dedicated volunteers. 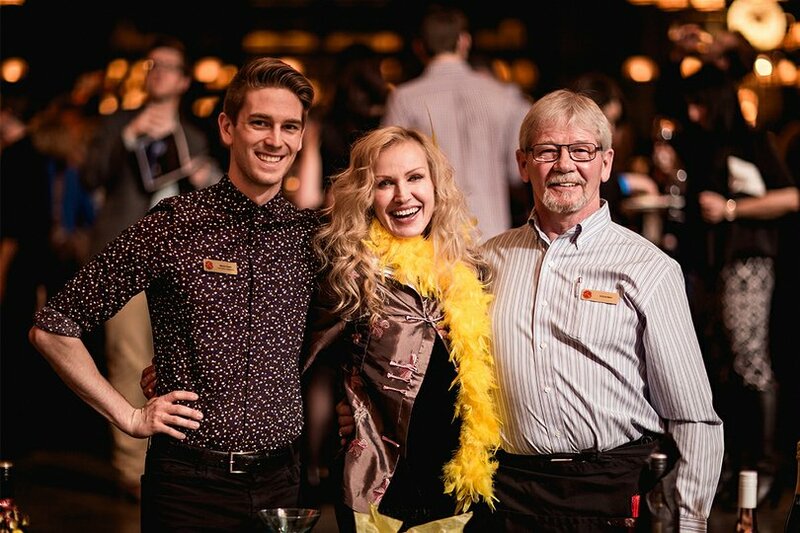 If you want to catch a glimpse at the inner workings of Calgary's International Festival of the Arts and help us continue to make #HPRodeo a welcoming environment for audiences and artists alike, then join our dedicated volunteer team, in partnership with East Village. 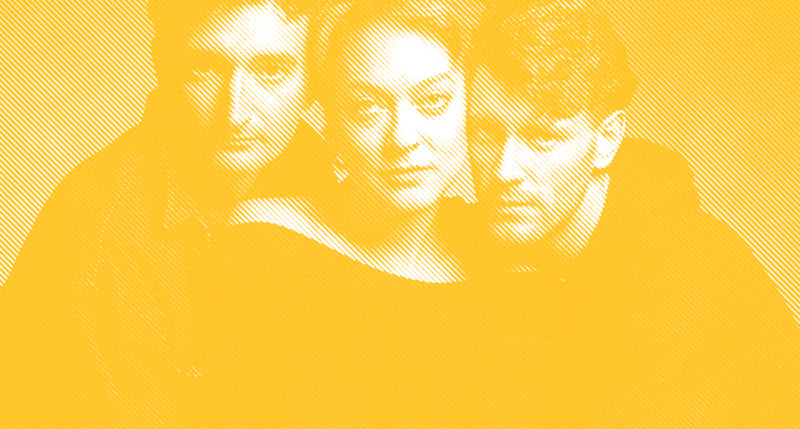 When you volunteer with One Yellow Rabbit you become part of a dynamic and inclusive team that is united in their passion for the arts, the city of Calgary and making January the hottest month of the year. Volunteers serve on teams based on areas of interest – take a look through the opportunities below. Discover which opportunities connect with you. Are you available during evenings and enjoy interacting with patrons? Are you friendly, on-time and have great customer services skills? Join our Front of House Volunteer Team. Duties include: Our Front of House Volunteers assist with audience care, including greeting patrons, taking tickets, handing out programs, handing out will-call tickets, ushering people to their seats, cleaning up the theatre post-show and assisting in other pre/post-show duties. Perks: You get to see a show during your shift – or you receive a voucher to be used another night. Do you enjoy getting your volunteer hours during the day? Want to work directly with the One Yellow Rabbit Staff? Are you organized and dynamic and enjoy working on the fly? Join our Production/Admin Volunteer Team. Duties include: Our Production/Admin Volunteers assist with an array of tasks, such as program distribution, artist pick-up/transportation, production set-up, envelope stuffing, and being on-call throughout the day for last-minute opportunities. Perks: For every four-hour shift you work, you get a show voucher eligible to be exchanged for a ticket to one any show through the High Performance Rodeo Box Office. Are you up for the challenge of being out-going, dynamic, and comfortable talking to patrons? Can you see yourself working in crowds and being an ambassador as the public face of an organization? Join our Outreach Volunteer Team. Duties Include: Administering and collecting audience surveys, promoting and selling raffle tickets, as well as being a host and helping out with special events throughout the Rodeo. Perks: For every three-hour shift you work, you get a show voucher eligible to be exchanged for a ticket to one any show through the High Performance Rodeo Box Office. Open the doors to a unique and rewarding experience as a volunteer with One Yellow Rabbit. Help us make this, among the most vibrant cultural scenes anywhere on the globe, even better because of your efforts. If you are interested in volunteering, please complete our online registration form by clicking here, or email our Volunteer Coordinator.